Drawing random upgrade prize… please say “STOP” to stop. The loud succession of beeps muddled Su Yanyi, but she heard the last notification clearly. She looked at the virtual panel expectantly. What did she draw? You have obtained a treasured Golden Meteorite Tortoise. The Golden Meteorite Tortoise has a hard golden shell. It can block bullets, be used as a brick, and play cute to make Master smile. Please enjoy! “…” She decided to not raise her expectations anymore when it came to the System. She was really not a pet person. “Can I return it?” She asked coldly. 【 Nope, every System reward is compulsory. Master, the tortoise has been sent to the garden behind the villa. You have to remember to go get it. 】001 popped up, eyes once again sparkly and blinking. “Then it can just stay there.” If she couldn’t return it, then she could just leave it to perish on its own, right? “Are you sure this is a reward?” Why did she feel like it was a punishment? 【 Of course. Master, the tortoise is super cute, you’ll know when you see it. 】001 enthusiastically continued to promote the System’s complimentary “products,” which further convinced Su Yanyi that the System itself was a scam. After a wonderful breakfast, Qin Jiran left for work, beaming and full of spirit. Su Yanyi called in to tell Kang Zhong that she would be arriving at the office late before she headed to the garden behind the villa. A cold aura surrounded her as she began her tortoise hunt. The rear garden was not big. It was more like a little pavilion, and because it was early winter, the flowers had all wilted. She rarely visited the garden, and the servants were not around either, so the place seemed a bit desolate. She looked around but couldn’t find anything that resembled a tortoise. “Where’s that tortoise?” She asked 001 skeptically. For some reason, Su Yanyi found 001’s description mouth-watering. Just then, a palm-sized golden tortoise trembled and tumbled off the branch it was on, plummeting down towards her head. Sadly, Su Yanyi’s quick reflexes caused the little tortoise to land pitifully on the ground instead. Its four teeny walkers reached towards the sky, exposing its golden tummy. No matter how long it floundered for, it just couldn’t turn back over. The silly tortoise was so clumsy that the sight was almost too much to bear. Su Yanyi’s eye twitched. She prodded the little tortoise with the tip of her toe but purposely controlled the force of her prod so that the tortoise would remain on its back. 【 Master, isn’t playing dumb considered cute these days? Isn’t it trending? Look, that’s what this tortoise is doing. Raising a tortoise is actually very easy, and it might even become smarter over time! Just look at me—after I started following Master, I feel like I’ve become much smarter! 】001 spewed out an incredible amount of sickening flattery as it fluttered its holographic lashes. Su Yanyi was almost angered to the point of laughing, but nonetheless, she prodded the tortoise again and helped it turn over. The tortoise was finally back on its tiny feet, but it seemed a bit confused. It spun several times before stopping, and then it raised its head to stare up at Su Yanyi. The little thing really did look like it was playing dumb. She didn’t care if the tortoise Goldie understood or not. She turned around and left. Anyway, the rear garden was still a part of her home, so even if the tortoise was dumb and didn’t know to follow after her, it could reside in the garden. The food and accommodations weren’t bad. As it turned out, this tortoise that had come out of nowhere was actually pretty intelligent. Although it moved slowly, it made great efforts to catch up with her. Noticing, she slowed down her pace, and the human-and-tortoise pair eventually got back inside the villa. Wang-jie was cleaning up the living room. When she saw Su Yanyi walk in, she greeted her, and then she was introduced to Goldie. “Take care of the tortoise,” Su Yanyi instructed before leaving. For the past several days, Pan Yan had been checking in, and now it was time for Sun Minyi to pass over her job. It also marked Sun Minyi’s official departure. Of course, Sun Minyi was unwilling. She didn’t even know what she had done wrong. She’d tried to ask Su Yanyi about it, but she was immediately turned back. Finally, she left bearing resentment. Su Yanyi had further plans in mind for Sun Minyi. Sun Minyi would lose everything, including her standing and reputation, and live a life worse than death! Standing before the glass wall in her office, looking out at the city below, Su Yanyi’s eyes sunk into darkness. Those who had betrayed her would pay. A considerable amount of shares from Star Entertainment had been purchased already. With the help of her brother, she would be able to acquire all of the Wang family’s businesses. She did not intend to stop until they were bankrupt and in despair. That afternoon, news suddenly broke out about a flash divorce between the Su family’s sole son, Su Yanmo, and the Wang family’s eldest daughter, Wang Zhirou. The suspected reason for the divorce was that there had been business disagreements. The mainstream media reports appealed to the masses. After all, the common people were quite interested in the enmities between the two elite families. Before long, the Su family and the Wang family had become a trending topic, and speculations revolved mainly around why Su Yanmo and Wang Zhirou had divorced. Following up, two more pieces of news broke out: Wang Zhirou had stolen business intelligence from the Su family, and she had crossed her boundaries, so Su Yanmo divorced her out of anger. Both pieces of news were fully substantiated, and they even touched on the business ties between the Su and Wang family. Indeed, the Wang family had profited at the Su family’s expense. Then, pictures of Wang Zhirou being together with several different men were released, immediately pulling the masses to take Su Yanmo’s side as they condemned the Wang family for their contemptible ways. Inside her office, Su Yanyi was listening to Kang Zhong report on the news. When he finished, she nodded in satisfaction, certain that it was her brother who was behind everything. He had always been a decisive person. While his move this time had exposed the Su family’s intentions to attack the Wang family and caused Su Yanyi to lose her advantage early in the game, it didn’t change the fact that the Wang family was now like a turtle trapped in a jar. She was going to do away with them, one by one. VIN: I checked. “Golden Meteorite Tortoises” do not exist, but Golden Greek Tortoises do. 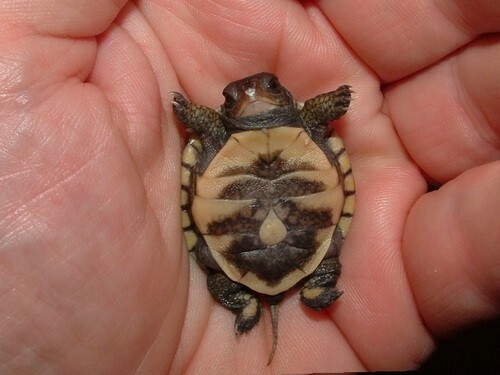 Such a cute little turtle. My sister and I used to have turtles. They were adorable.